Researchers from The University of Texas Medical Branch at Galveston recently discovered that alcohol killed the stem cells residing in adult mouse brains. Because the brain stems cells create new nerve cells and are important to maintaining normal cognitive function, this study possibly opens a door to combating chronic alcoholism. The researchers also found that brain stem cells in key brain regions of adult mice respond differently to alcohol exposure, and they show for the first time that these changes are different for females and males. The findings are available in Stem Cell Reports. 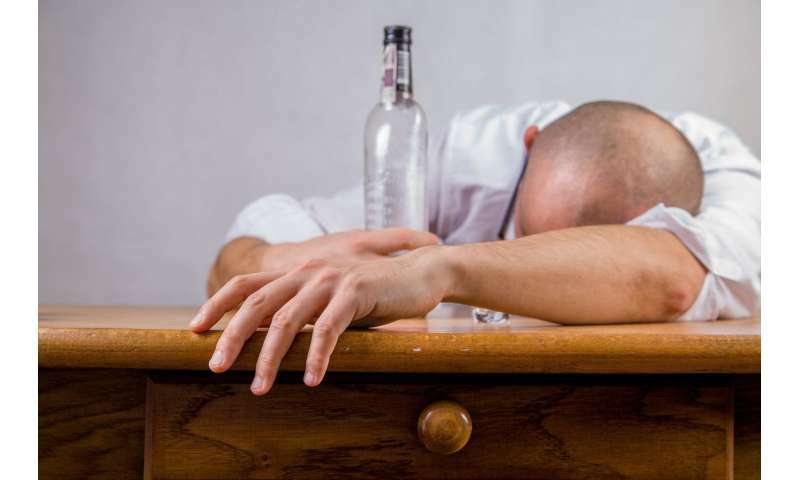 Chronic alcohol abuse can cause severe brain damage and neurodegeneration. Scientists once believed that the number of nerve cells in the adult brain was fixed early in life and the best way to treat alcohol-induced brain damage was to protect the remaining nerve cells. "The discovery that the adult brain produces stem cells that create new nerve cells provides a new way of approaching the problem of alcohol-related changes in the brain," said Dr. Ping Wu, UTMB professor in the department of neuroscience and cell biology. "However, before the new approaches can be developed, we need to understand how alcohol impacts the brain stem cells at different stages in their growth, in different brain regions and in the brains of both males and females." In the study, Wu and her colleagues used a cutting-edge technique that allows them to tag brain stem cells and observe how they migrate and develop into specialized nerve cells over time to study the impact of long-term alcohol consumption on them. Wu said that chronic alcohol drinking killed most brain stem cells and reduced the production and development of new nerve cells. The researchers found that the effects of repeated alcohol consumption differed across brain regions. The brain region most susceptible to the effects of alcohol was one of two brain regions where new brain cells are created in adults. They also noted that female mice showed more severe deficits than males. The females displayed more severe intoxication behaviors and more greatly reduced the pool of stem cells in the subventricular zone. Using this model, scientists expect to learn more about how alcohol interacts with brain stem cells, which will ultimately lead to a clearer understanding of how best to treat and cure alcoholism. Other authors include UTMB's Erica McGrath, Junling Gao, Yong Fang Kuo, Tiffany Dunn, Moniqua Ray, Kelly Dineley, Kathryn Cunningham and Bhupendra Kaphalia.